The Gaylor Lakes basin is a remarkably scenic high-country valley (elevation over 10,000 feet), populated with five lakes and encircled by any number of pointy peaks. Head over to the Gaylor Lakes Trail Photo Gallery to dispel any doubts you may have about these claims. 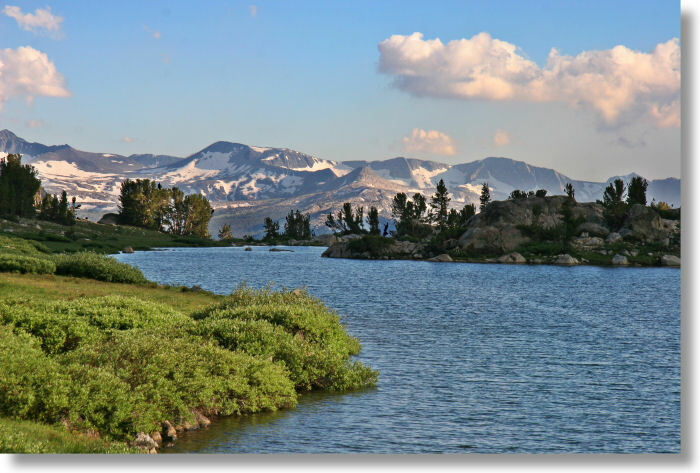 The Gaylor Lakes trail starts from Tioga Pass, at Yosemite's eastern entrance.